January 23 Update: Broadcast is complete. You can watch the archived version by scrolling below. Whether or not you are formally part of this study, I think you will enjoy our 30 minute overview of the Bible's book of Romans. 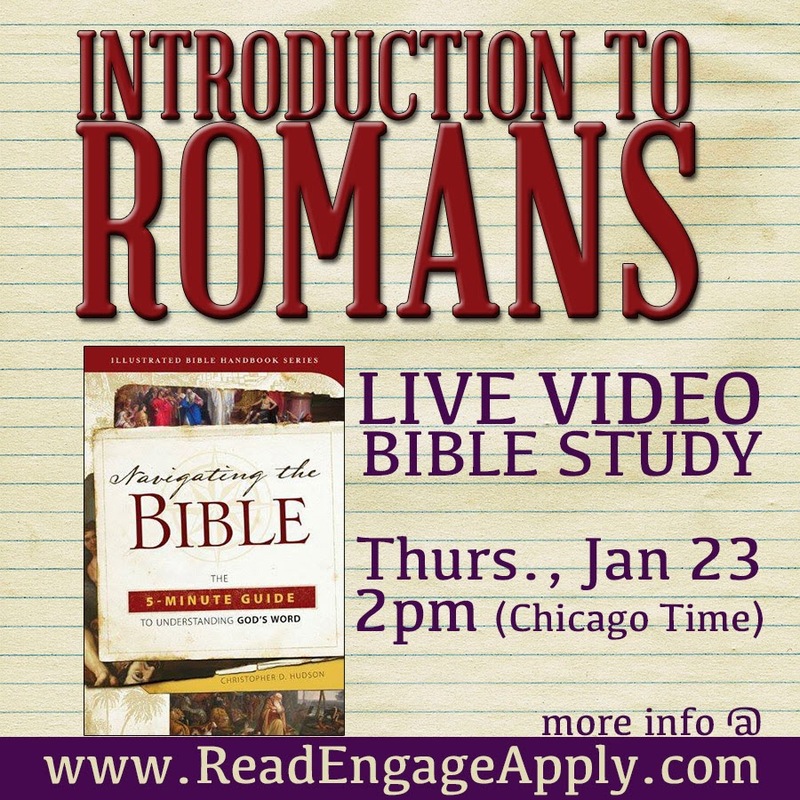 On Thursday, January 23 @ 2pm (Chicago time), I will host a live video overview of this Bible book. Please RSVP if you are able to make the live event. If you have trouble with the RSVP or can't make the live event, simply click the link and join whenever you can. The link will also bring you directly to the archived version so you can still get the benefits of the video study on your own timetable. I'm looking forward to studying the Word with you!